Now in its 27th season! Each Monday, as long as weather permits, league play begins at 8 a.m. A $20 registration fee is required and will allow you to get in on all of the perks that we offer our seniors. All seniors registered with us will receive our special Monday Senior League rate of $24.00 for 18-holes riding and $12.00 for 9-holes riding. League play rotates between each 18-hole courses every week. Two cookouts are provided throughout the season and are all you can eat and drink! At the end of each round, players leave their scorecards with their names printed clearly and the staff will establish handicaps for the members. This league is a very informal and loosely structured program that allows you to golf with your own group or we can find partners for you. Your attendance is not required on a weekly basis, come when you like and join us this year. 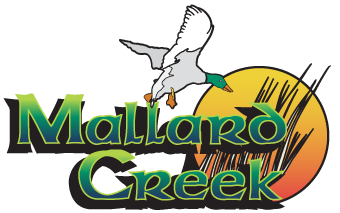 League play will begin on Monday, April 1st at 8 a.m.
For additional information contact Matt Kershner at MattK@TheMallardCreek.com or call Matt at 440-748-8231.